CURIOUS AS TO WHAT YOU WILL HEAR? CLICK HERE! captivating and unforgettably fun! Visit the wine tent and food raffle tables for delicious treats all in support of Westben. BIO: It takes a special blend of musical flair to create memorable songs of yesteryear! Songs with a hint of contemporary—dosed with uncontrolled laughter, deep-rooted couplets and sudden, impromptu shifts—that speak to familiar rhythms of the past. Welcome to the original musical stylings of De Temps Antan! Éric Beaudry, David Boulanger and Pierre-Luc Dupuis have been exploring and performing time-honoured melodies from the stomping grounds of Quebec’s musical past. 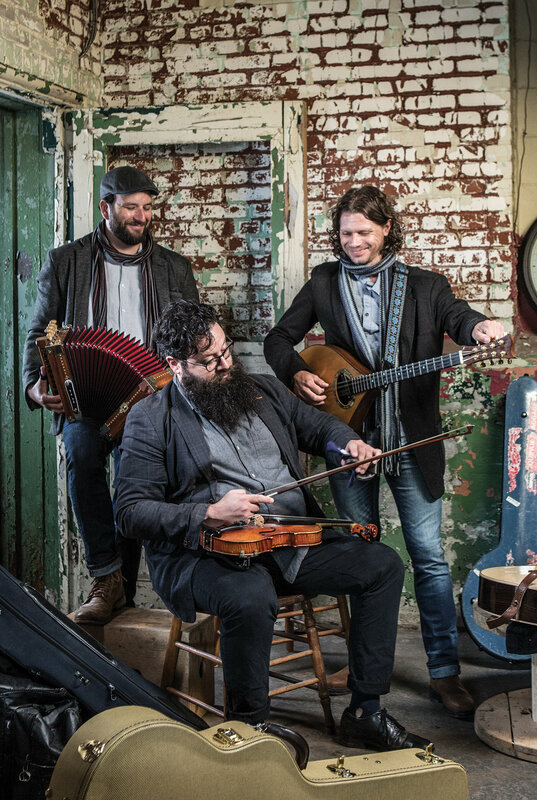 Using fiddle, accordion, harmonica, guitar, bouzouki and a number of other instruments, our three virtuosos blend boundless energy with the unmistakable joie de vivre found only in traditional Quebec music. In fact, the only thing missing from this magnificent musical blend is you! So come enjoy an evening unlike any other with De Temps Antan.